"Oh Stacey dear how are you?" Joe&apos;s mom asked hugging me as she let me into her home. "I&apos;m fine Pat, how are you?" I asked as we released each other from the warm embrace as she looked older than the last time I saw her. "Oh you know me dear, I&apos;m always doing something," she said as she walked towards the kitchen and I followed behind. Memories of my time in the house hit me as everything in it felt nolstagic to my youth. Summer had asked me to come over early before work because she said she had somthing to show me. "The house looks the same," I noted looking around and noticed the pictures I had seen of the family a million times still the same spot in frames around the house. "Nothing really changes much around here," she answered entering the bright kitchen were Summer sat eating her breakfast. "Goodmorning Stacey, are you ready to plan your birthday party?" Summer asked. "I&apos;m still not sure if the barbecue is the best place to have my birthday party." I voiced my doubts sitting down next to her. "They are both on the same day so why not?" Joe&apos;s mom chimed in pouring me a cup of tea. 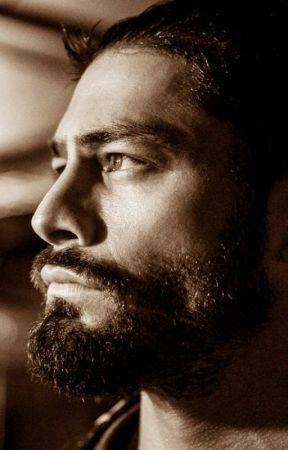 "I mean the Anoa&apos;i family babrbecue is pretty important. It&apos;s more of a family event than a birthday party," I replied. "Oh please," Patricia scoffed. "You&apos;re my bestfriends daughter. Of course your family." She assured me tucking my blonde strands behind my ear. "That&apos;s right," I heard Joe&apos;s father voice from behind as he entered the kitchen. "Sika," I greeted the older man standing up to hug him. He had always been like an uncle to me since I used to come by all the time when I was younger. It also helped that he always liked me for Joe. I just hoped that he would still support me after he knows the truth. "It&apos;s been a long time since you&apos;ve been around," he stated sitting at the kitchen table with Summer and I. "Yeah well I&apos;m back in home for good so you will definetly be seeing me more." I smiled back at him. "Good. You are always welcome here," he assured me and it felt good to know nothing had changed with his family. "Alright Dad, we will be up in Joe&apos;s old room if you need us," Summer told Sika  getting up from her seat and I followed behind. "I&apos;ll see you guys in a bit," I excused my self from the table leaving Sika and Patricia alone in the kitchen. I could help but look around as memories played of me and Joe hanging out at his parents house. We would come here almost all the time and lay up in his room for hours. "Why did you ask me to me you at your parents house?" I asked Summer closing the bedroom door as I watched her take a  black lockbox from under Joe&apos;s bed and place it on the bed. "Because you&apos;re not going to believe what I found," She beamed as she used her bobby pin to try to get the lock open. "What&apos;s in there?" I asked sitting on the bed watching as she skillfully picked the lock open and my jaw instantly dropped. "Oh my god!" I gasped in disbelief. " Where did you find these?" I asked looking at the old tapes Joe and I had made together including old photos of us together. "In the garage when I was helping clean out for the barbecue," she responded watching my movements for a reaction. "This is how you get him back," Summer pointed at the old pictures scattered on the bed before us.